How High can Harry Aikines-Aryeetey Vertical Jump? 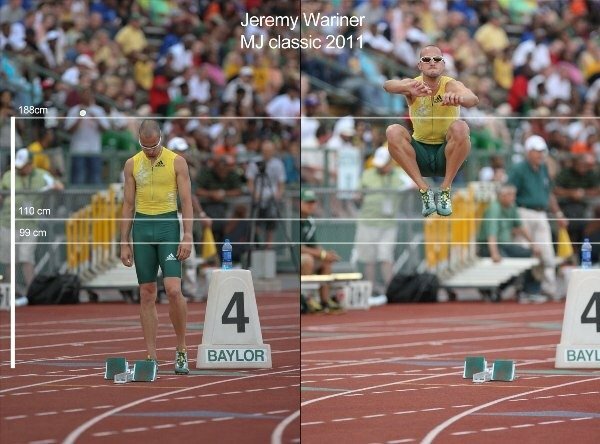 Last year, I wrote a satirical piece on Jeremy Wariner, asking how high can he box jump? This was followed by 2 videos of Ato Bolden and Dwain Chambers doing at least a 60 inch box jump. Impressive. Of course, the box jump numbers are much different compared to a vertical jump test. At the 2012 Eurpoean Championships, here is a great photo (courtesy of the IAAF) of France’s Christophe Lemaitre and UK’s Harry Aikines-Aryeetey. It looks like a David Copperfield illusion where he has a hidden harness and invisible wires and he attempts a levitation trick. This isn’t a trick, just good old fashion photography with a high speed camera and motor winder at several fps. Based on the height of the Lane boxes, I would say his vertical jump is at least 30 inches, and that’s probably not a max vertical either. 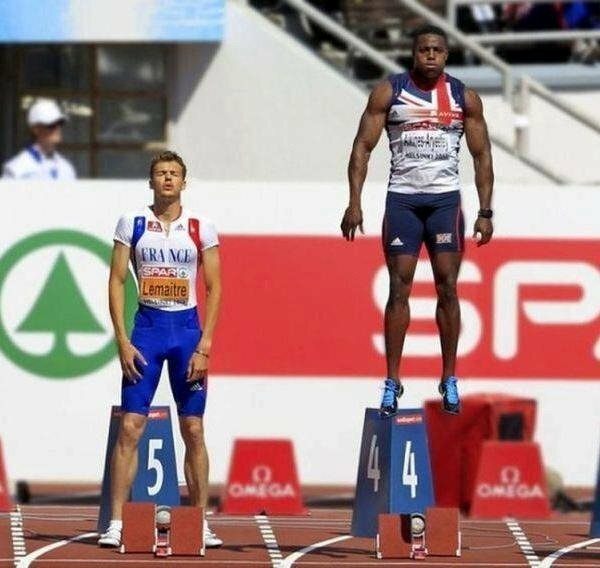 So, how high can Harry Aikines-Aryeetey vertical jump? 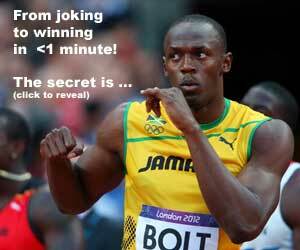 I can tell you one thing, the only two numbers he cares about are 10.18 and 10.24, the IAAF A and B standards. His PB is 10.10 and has run 10.27 this year. @Steve, if someone had a 48″ vertical just before getting into the blocks, my thoughts would be, Holy S***! Harry Aykines Ayeeteey is stated as having a 110 cm vertical jump. I expect is the height he jumps without bending his knees as it can be seen in the post below. He has a very great bench press too. I lend you my blog where I put some of sprint sutides made by myself and other from all the sports. World class athlete at its best….incredible! That’s why it’s such a treat to watch these performances and to try and emulate their training methods as much as we can into or personal training methods. As Steve mentions, it’s also not a bad way to intimidate your competitors…. yep, great jump, but his sprint performances arre going backwards. He has stayed at 10.3 all year and is not improving as others are who have also won world junior champs. He has got too big. look at the this months 100m european 100m final, he is out the blocks great and first to 20m, then everyone slowly takes him. I remember reading aabout him in AW when he was 14, and he should be better by now. He makes John Regis look like mo Farah & John was the exception being able to run 100, 200 &400 at world standards whilst being very big built. Lose size Harry!! !Dwain and MLF dont have another season in them & we need replacements!! !